Longtime JAMES LABRIE band songwriter, producer, and keyboardist MATT GUILLORY releases the first single “INSIDE” from his debut solo project on November 9th. Available on all digital media platforms. 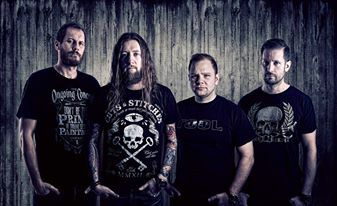 “INSIDE” was written and produced by Matt and also features guitar phenom MARCO SFOGLI (JAMES LABRIE), screamer ANDY SOLVESTRÖM (ex-AMARANTHE), bassist RAY RIENDEAU (JAMES LABRIE) and drummer JESPER SUNNHAGEN.